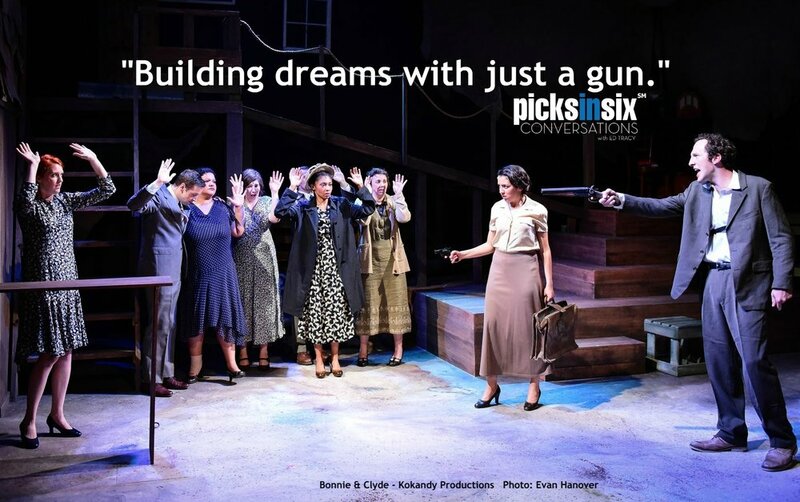 What it’s about … an evocative book musical about the infamous Depression era criminals Bonnie Parker and Clyde Barrows who meet, fall in love and embark on a short-lived, but spectacular, crime and killing spree that ends in a lopsided blaze of gun fire. Why you should go … the intimacy of Theater Wit’s Stage One is a perfect venue for this superb non-Equity cast, led by the compelling performances of Desiree Gonzalez and Max Detogne, to explore a complex blend of musical styles in a production that coincides with the 50th anniversary of the famous film. Who stands out … the sizzling team of Gonzalez and Detogne pack a lot of firepower. Strong voices abound throughout the ensemble, but it is Gonzalez and Missy Wise(Blanche) whose lofty ballads (and duet) shine. Sarah Hayes is powerfully moving as Bonnie’s mother, Emma. What’s the takeaway … from 1932 until their deaths in 1934, Bonnie and Clyde gained notoriety by submitting their own stories for publication, signing autographs at holdups and posing for publicity shots that we would call selfies today. We are still captivated by their story, but it's hard to forget that these two went from petty thieves to ruthless outlaws and murderers overnight, and that the outcome proves once again that crime does not pay. Dining out … Fahlstrom’s and Cooper’s are nearby favorite’s on West Belmont … show up early and you might snag on street parking before dinner. Otherwise, try calling the box office in advance about valet.